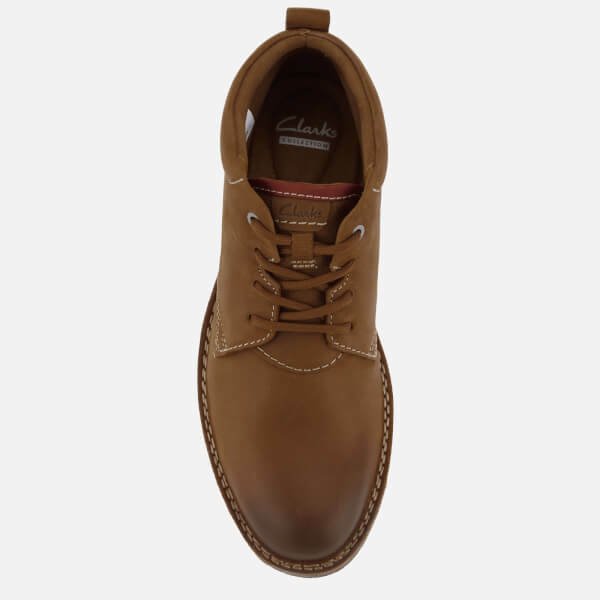 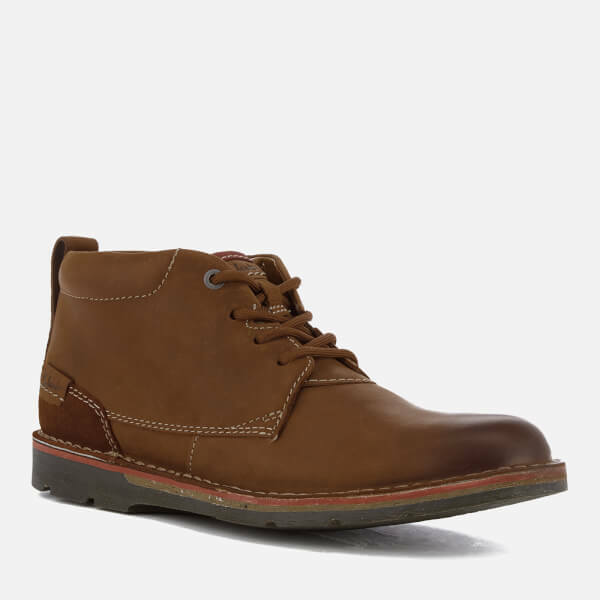 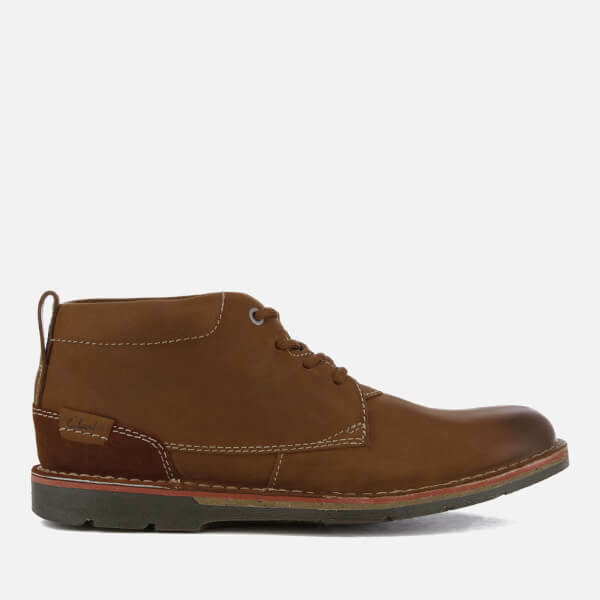 Men’s ‘Edgewick’ leather chukka boots from established shoemakers Clarks. 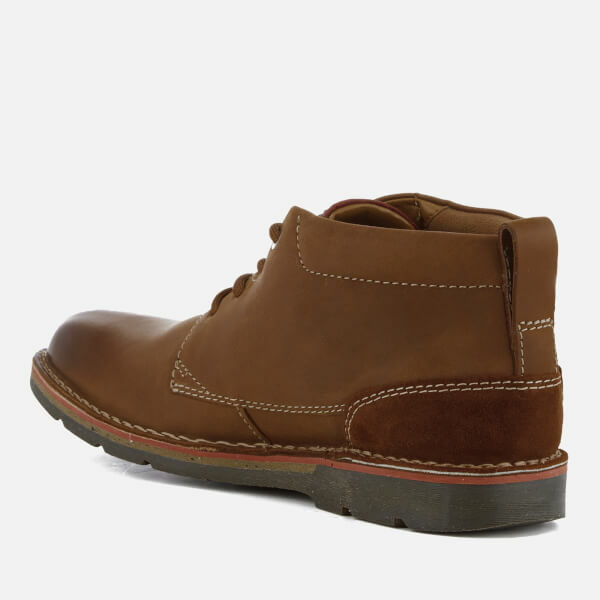 Constructed from soft nubuck leather uppers, the mid top boots comprise a lace up fastening, a rounded toe and a natural stitch welt. 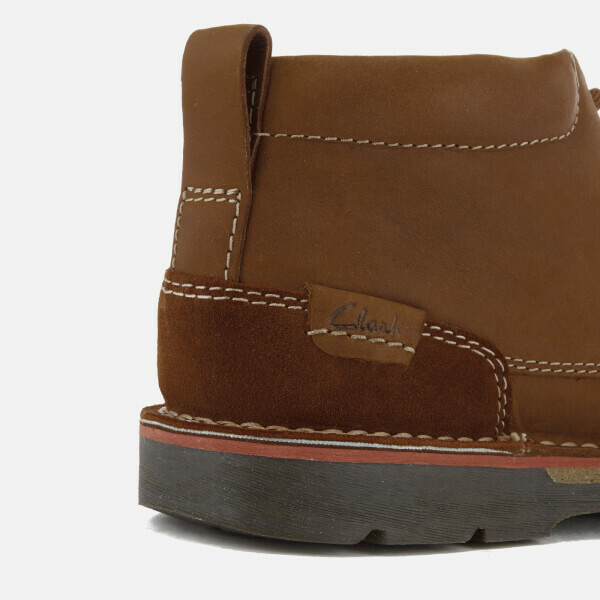 Featuring a padded collar for added support, stitch detailing throughout and a heel pull tab. 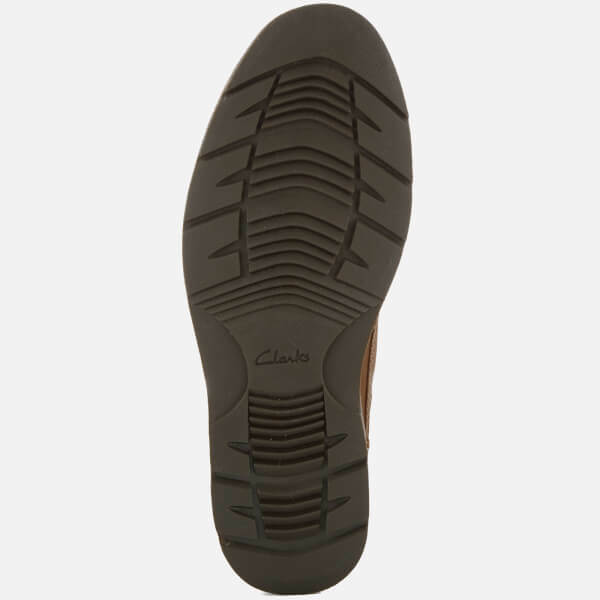 Set on a treaded rubber sole and complete with Clarks branding to the tongue and counter.